When you’re facing an ever-growing list debts and the threat of losing your home, or being subjected to a lawsuit, it’s important to get a handle on all of the options available to you. For many consumers, this means searching out many different varieties of debt relief, including trying to get a handle on all of the different types of bankruptcy available to them. Over the course of these searches, one term may crop up again and again: Chapter 11. What is Chapter 11 bankruptcy? How does Chapter 11 compare to Chapter 7 and Chapter 13, and is it really an option for consumers and small business owners? Now, Chapter 11 bankruptcy is a lot less common than other forms of bankruptcy. Generally speaking, this type of reorganization bankruptcy is intended for extremely wealthy individuals and, more commonly, large corporations and businesses. Nevertheless, understanding how this type of bankruptcy works and what it does may help clarify some important concepts – and help you choose the course that may work for you, even if Chapter 11 is not a viable course of action. Let’s demystify some of the details of Chapter 11, so that you can continue your journey to debt relief with more confidence – and, ultimately, make the decisions that will be the right fit for your finances and lifestyle. Broadly speaking, Chapter 11 bankruptcy is intended as a way for corporations, businesses, and a very, very limited pool of consumers to reorganize, in order to deal with heavy debts while maintaining income and profitability. Generally, pursuing Chapter 11 results in the debtor cutting costs or seeking a new source of revenue, while reorganizing their debts and payments to creditors through a structured payment plan. Chapter 11 bankruptcy is often thought of as more time-consuming and costly than other forms of bankruptcy, including Chapter 7 and Chapter 13. With that being said, the process is generally fairly straightforward, though the details will, of course, vary from case to case. 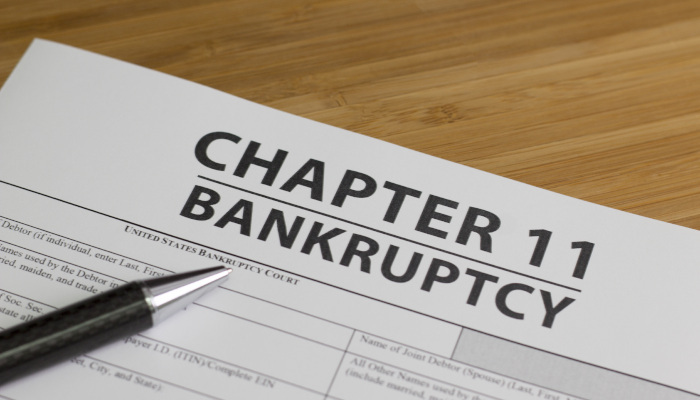 The Chapter 11 process begins when a petition for Chapter 11 bankruptcy protection is filed. This filing can be voluntary (i.e., initiated by the debtor) or involuntary (initiated by creditors). Once the petition is filed, a stay of collections is put into place. At this point, the debtor devises a reorganization or repayment plan, and works on devising a structured way to repay its creditors. Some debts may be discharged; in other cases, the debtor will work on repaying creditors, in order of priority, or class (i.e., secured or unsecured debts), in line with the details of their specific repayment plan. Once the debtor and their creditors have created a plan, the court must confirm it, and then the debtor is responsible for executing the plan by the agreed-upon terms. Who Is Chapter 11 For? Generally, Chapter 11 is reserved for large businesses and corporations. You may see some high profile examples online, or when you turn on the nightly news. With that being said, Chapter 11 can also be a viable option for certain small businesses (here defined as businesses with fewer than 500 employees), or partnerships. The business must be able to demonstrate significant debts, while providing the courts with relevant information, such as a statement of operations and information about cash flow. In many cases, however, small business Chapter 11 filings are often reverted to Chapter 7. Remember, the ultimate goal of Chapter 11 is to ensure future profitability. In many circumstances, the court may determine that the small business won’t actually be able to become profitable after bankruptcy, and dismiss the case. Legally speaking, some consumers with substantial earning potential may be able to use Chapter 11, but this is exceptionally rare. According to a report from FindLaw, only 0.1 percent of consumer bankruptcies filed in 2009 were Chapter 11 – as compared to 71.4 percent Chapter 7, and 28.5 percent Chapter 13. What Are Chapter 7 and Chapter 13 Bankruptcy Filings? As we’ve noted, Chapter 11 bankruptcy tends to apply to a fairly limited number of cases. For consumers and small business owners, Chapter 7 and Chapter 13 are generally going to be far more useful, and more important to understand. Chapter 7 bankruptcy is a “liquidation” bankruptcy, in which the consumer liquidates some or all of their assets in order to pay down debts, while also having many of their unsecured debts released or discharged. More similar to Chapter 11, Chapter 13 is what is known as a “reorganization” or “restructuring” bankruptcy. In this type of filing, the debtor works up a repayment plan with the court and their debtors, to help pay off set amounts of debt over an agreed-upon period of time. For more a more in-depth look at these two types of consumer bankruptcies, including situations where they may or may not be used, be sure to visit our guide to Chapter 7 and Chapter 13, which is available here. How Do I Get the Debt Relief I Need and Deserve? Have any more questions about Chapter 11, or any other type of bankruptcy? Curious about whether bankruptcy is the right debt relief strategy for you? In many ways, the best way to determine if you qualify for bankruptcy, and what strategies to pursue in bankruptcy, is to consult with a legal professional. With an experienced bankruptcy attorney on your side, there is no need to search for all the variables and hope you don’t miss any key detail, or to waste your time seeking out costly and ineffective third party solutions. Instead, an attorney can help you pursue the right course of action for your unique financial situation. At the same time, a legal professional can offer the force of law to protect you from debt collectors and creditors, all while being held to a higher standard by the state and ethics review boards than private operators. Looking to get a better understanding of bankruptcy law? Wondering if it may be a practical course of action for you? Do not hesitate to get in touch with the Gunderson Law Firm. We can get you actual, straightforward answers unique to your personal situation, and your first consultation with us costs you absolutely nothing. At the Gunderson Law Firm, we protect our clients’ assets to the full extent allowed by today’s laws, helping them get the debt relief they not only need, but genuinely deserve. We will take all steps possible to protect you and your assets from the jump and throughout the entire bankruptcy process, while also counseling you on realistic ways to avoid such serious debt issues in the future. Whether you are a business owner, a wage earner, retired, or otherwise, we can address your specific situation with a strategic plan to help put severe indebtedness behind you, so you can truly enjoy life again. Contact us when you’re ready to get the conversation started.